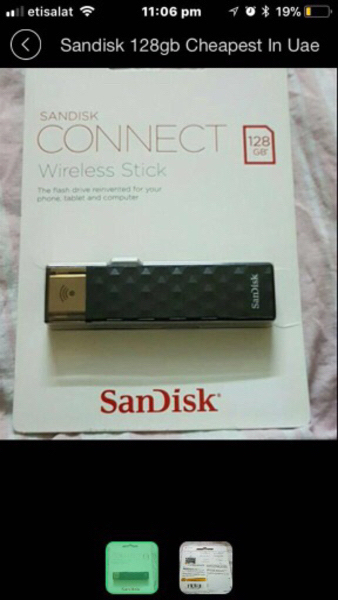 2 pieces of 128GB wireless flash drive! Hurry, best offer! B.K. Still if you are buying right now I can make aed 530, that will be my last and final offer. I won’t make aed 529! Let me know if you are interested..
B.K. Yes, with Apple, android or laptop. It supports multiple device at the same time as well! Md Ahmad can use wth samsang ....?